Rick Beck is a glass worker, sharing a studio with Valerie Thomas Beck in Spruce Pine, N.C. He began working glass at Hastings College in Nebraska in 1978 and received his MFA from Southern Illinois University at Carbondale in 1989. He had residencies at both the Appalachian Center for Crafts 1989 to 1991, and Penland School of Crafts 1991 to 1994. In 1994, Rick was awarded a visual arts fellowship by the North Carolina Arts Council, followed by a National Endowment for the Arts regional visual arts fellowship from the Southern Arts Federation in 1995. He is known for his large-scale cast glass sculpture depicting industrial, everyday objects and the human figure. Beck's cast pieces are one of a kind. He begins by making the figure or shape out of clay. Next step is investing it in plaster, then digging out the clay. After editing that by carving and changing the mold, it is put into the annealer. Chunks of glass are put into the mold and heated to 1600 degrees then held there for annealing. The time it takes to come down to room temperature depends on the size of the piece, which can be anywhere from a week to two months. Once the mold is removed from the annealer, the plaster or silica mold is completely broken away and the piece is carved using diamond tools. 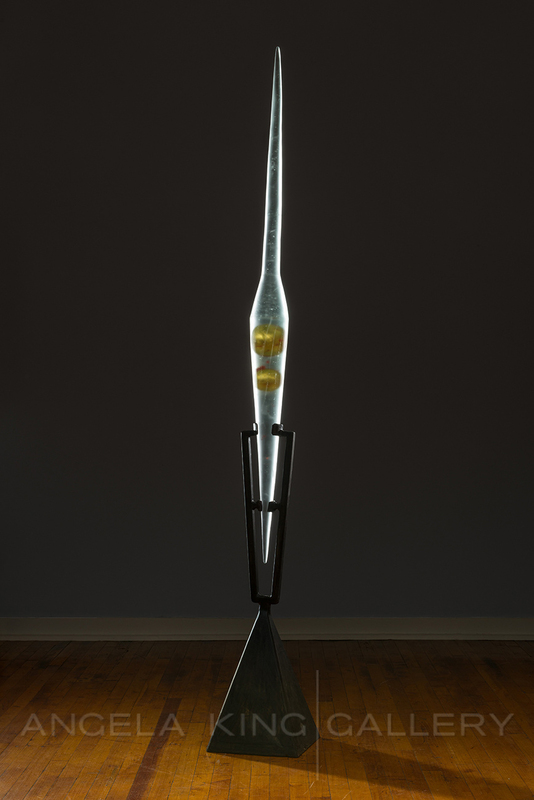 "My work in glass is a synthesis of human and mechanical form, with an emphasis on formal aspects. I am interested in playing the volumes of mass against the rhythm of the lines. I enjoy the interplay of the visual (visceral) versus the verbal (descriptive/technical). The work should challenge the eye and the mind." Artist Rick Beck speaks about how he makes his massive carved glass sculptures.